Demonstration on October the 31st 2008 by the village of Bil'in, protesting against the Apartheid Wall cutting the village's land in half and against the theft of their land. "Friday 31 October 2008 the village of Nilin has been protesting against the wall and settlement building. The protesters marched after the Friday prayer joined by international and Israeli activists, showed solidarity with the residents of Nilin in particular and the Palestinian people in general with their right to struggle against the Apartheid Wall and have freedom"
"Al-Arabiya 081030 PBC 081025 [LinkTV/Mosaic]"
"International peace and human rights activists expressed solidarity with Gazans through touring diffrent places in besieged Gaza"
Produced for Link TV by Jamal Dajani." Al-Dameer Association for Human Rights is following with great concern the hazardous effects of the increasing nuclear radiations caused by the Israeli nuclear reactors and the burning of nuclear waste on the border areas of the Gaza Strip. The residents of eastern Gaza Strip fear the negative impacts of the radiations on their health. According to Al-Dameer report, during the past two years the number of children who were born with birth defects is increasing due to nuclear radiations caused by the Israeli nuclear reactors and the burning of nuclear waste. The fear of residents started to increase after a ewe gave birth to a deformed lamb that was born headless and with only two ears, but died immediately after birth. There are also two cases of deformed infants in the same area. Scientific research indicates that there is 48% of toxic waste from Israeli factories buried in the official Israeli burials and the remaining 52% is buried in unknown areas. These unknown areas are suspected to be in Palestinian territories in both West Bank and the Gaza Strip. Recently, 29 barrels filled with toxic waste were found in Khan Younis city south of Gaza Strip. Moreover, scientific research reveals that nuclear radiation and radiation of toxic waste is one of the main causes of the illness leukemia. "The toxic waste from the Dimona reactor is burned in the Halotsa area located near Gazen borders” Ihoud Yarry, an Israeli commentator, said on Israeli T.V. Demona reactor was built in the Negev desert in1965. It is a building that has 9 floors each of which produces different types of material that is used in manufacturing nuclear weapons. Scientific research notes that this reactor is very old and that there a risk that radiation could anytime start to leak. Al-Dameer Association is concerned with the negative impacts of the repeated Israeli violations on Palestinian environment, which constitute a violation of the international conventions that grantee the right to life in a clean environment. Also, Israel violates Basel convention, where in article (2) paragraph 8 which clearly states that "Environmentally sound management of hazardous wastes or other wastes” means taking all practicable steps to ensure that hazardous wastes or other wastes are managed in a manner which will protect human health and the environment against the adverse effects which may result from such wastes." Yesterday, the Israeli Navy said they would stop our vessel once it reached Israel’s territorial waters. Apparently to save face, they said they would harm our boat, arrest us and tow us IF we entered Israeli waters. The problem for Israel is that the Dignity had no intention of getting anywhere near those waters. For the second time, the Free Gaza Movement has demonstrated that the might of the Israeli Navy is no match for a small boat of human rights activists determined to call to the attention of the world the occupation of the people of Gaza. "Nowhere will watch the US election more closely than the Middle East. Both John McCain and Barack Obama have pledged support for Israel, and have promised to work toward peace with the Palestinians. A crucial policy for the next president will be his stance on Jewish settlements in the Palestinian territories. Sherine Tadros looks back at Washington's history of speaking out against the settlements, while doing nothing to stop their expansion." Floods in the Gaza Strip after heavy rainfall. "Floods in Khan Younis in the southern Gaza Strip caused by heavy rainfall." Heavy rain that fell on Gaza on Tuesday forced at least 80 Palestinian families to evacuate their homes especially after the sewage system collapsed causing damage to homes and businesses. Eyewitnesses reported that the level of water in some of the flooded homes reached at least 1.5 feet. Meanwhile, head of the Civil Defense in Gaza warned that the flood could drag the impoverished and besieged area into a further humanitarian crisis. He added that that infrastructure in Gaza is not equipped to handle such cases of downpours. So far there was no reports of casualties but officials fear that casualties would occur if the rain continues. The Palestinian Civil Defense teams reported that at least 115 homes were damaged by the floods. The most affected areas are Khan Younis, in the southern part of the Gaza Strip, Sheikh Radwan and Al Zeitoun neighborhoods in Gaza, in addition to Al Shaty' and Jabalia refugee camps. Last year, five Palestinians were killed after the rain caused a collapse to a sewage pit in Gaza. "Several Palestinian men had been arrested by Palestinian security in the West Bank villages of Yata and Samua." DAMASCUS, (PIC)-- Dr. Moussa Abu Marzouk, the deputy head of the Hamas political bureau, said Tuesday that there is a plan implemented carefully in the West Bank aimed at securing the control of PA security forces over different West Bank areas and enabling them to complete what the IOF troops failed to do there. In an exclusive statement to the PIC, Dr. Abu Marzouk underlined that the campaign which PA chief Mahmoud Abbas's security forces waged in Al-Khalil city two days ago is part of previous security plans carried out in other West Bank areas. The Hamas leader pointed out that the PA security forces in their various deployment areas in the West Bank are not allowed to interfere when there are Israeli military moves to assassinate or arrest Palestinian citizens. He castigated these Israeli-supported PA security forces for standing on the sidelines of the assaults committed by Israeli settlers against Palestinian citizens. "Had these apparatuses been for the protection of Palestinian citizens, they would have repulsed the herds of settlers as they were attacking the Palestinian people and their property," the Hamas leader underscored. Abu Marzouk warned that these PA campaigns would adversely affect the atmosphere of the forthcoming dialog in Cairo. He concluded his statement to the PIC by saying that such means would not succeed in subduing Hamas or forcing it to change its principled positions towards the Palestinian rights and constants, pointing out that his Movement might make concessions on something it has, but it would never waive anything belonging to the Palestinian people and their future. The 5th international conference of the World Health Organization, in cooperation with the Gaza Community Mental Health Program, is taking place 27- 28 October in Ramallah. The academic conference, entitled “Siege and Mental Health, Walls vs. Bridges,” was meant to be held in the Gaza Strip. The conference was organized to serve as a forum for professional discussion and scientific exchange concerning the impact of the Gaza siege on children, families and communities, and to examine peace making efforts. The conference is intended to stress how the wellbeing and daily conditions of the Palestinians leads to more violence, defiance, extremism and abandonment and results in catastrophic consequences to the psychological profile of the next Palestinian generation. On 13 October, two weeks before the convention began, Israeli military authorities at the Erez checkpoint refused entry into the Gaza Strip of 120 physicians, mental health workers and academics from the U.S, Canada, Britain,Denmark, Spain and other countries. The military authorities also forbade the entry of Israeli physicians from the Tel Aviv based Physicians for Human Rights and Palestinian physicians and academics from the West Bank andEast Jerusalem, even though on other occasions they were given access. No reasons were given for refusal of the entry permits. Despite the attempt by Israeli military authorities to impede professional communication and exchange between the international medical community and Gaza medical professionals, the conference will continue, merely under different conditions. To compensate for the fact that many of the main people behind this project can not participate due to Israeli authorities’ refusal to allow Palestinians from Gaza into Israel, a video link between Ramallah and Gaza was established. This attempt by the Israeli military authorities to disrupt the conference from occurring spurs questions such as: What is it that Israel doesn’t want to been seen in Gaza? Why are they withholding entry of medical workers intoGaza to work with Palestinian civilians? Is the world community aware of what Israel is doing, and how can we publicize their actions? At a press conference in East Jerusalem on 26 October, representatives from the conference discussed issues related to these moves by Israel. Dr. Ghada Karmi from the University of Exeter, UK, stated that Israel is able to do all this and the general attitude of the people in Israel is “that’s how it is.” She emphasized the importance of people start to questioning the actions of Israel and begin to protest and speak out that these kinds of actions are not acceptable. Karmi further noted that the international community can not afford to allow Israel to continue its behavior and that the internationals, on all levels, have an obligation to bring it to an immediate end. It’s important that all the internationals from their own countries, she contends, tell people about the situation in order to reach the goal; that the government of the different countries will stop Israel. Later on, there was a demonstration at the Erez crossing, to protest the prohibition and to show solidarity with the 1.4 million inhabitants of the Gaza Strip. Gathered at this demonstration were Israeli and Palestinian peace-activists and participants from the conference. All stood together and demanded the Israeli authorities to listen to their demands. “Talk to us!” was yelled while demonstrators showed their passports, stating that they were internationals and should be able to enter Gaza. “Lets the doctors in!” was another slogan used, emphasizing the importance of this conference for the people of Gaza Strip and the wellbeing of the Palestinians in general. One of the participants of the conference, a female nurse from the Belfast Trust in Northern Ireland, claims that the conference has been organized for a whole year and that Israel has known about it the whole time. The permissions were collected several months ago and yet when it came time to actually use them, they were withdrawn. For her, this conference was to help provide the best service for the people in Gaza, to share information and good practices. She sees this conference as a helpful way to share experiences with people who work there, also for her own sake, with a background in another location of historical conflict, Northern Ireland. She still believes that the conference can achieve something, but she stresses that it would have been much more effective had there been a possibility for the people to see each other face to face and to discuss in an open forum. According to her, because of the Israeli military’s restrictions, they will only achieve half of their goals. "channel 2 reports on Hebron settlers attacking Palestinians in the city. ISrael activists who come to assist the Palestinians get arrested." "Israeli channel 10 article on an attack on a Palestinian camerman during the olive harvest, Hebron." GAZA, (PIC)-- The popular anti siege committee has inaugurated on Monday a memorial to commemorate the victims who fell as a result of the Israeli siege on the Gaza Strip that has been imposed almost two years ago. MP Jamal Al-Khudari, head of the committee, delivered a speech at the ceremony stressing that the memorial sends a message to the world to end its silence and to pressure the Israeli occupation authority to end the siege. He noted that the memorial commemorates the 225 victims who fell, so far, as a result of the travel ban and restrictions on the entry of medicines into the Strip. The memorial would remain as a witness for occupation's oppressiveness and aggression, he said, adding that it will also highlight the result of IOA tight siege and its destructive effect on all aspects of life in the Strip. It will further serve as a witness to the patience and steadfastness of one and a half million Palestinians in the Strip, the MP elaborated. Khudari then noted that the popular committee is finalizing preparations to receive the free-Gaza boat that is due to set sail from Cyprus on Tuesday heading to Gaza with a shipload of medicines along with foreign sympathizers. The ceremony was attended by acting PLC speaker Dr. Ahmed Bahar and representatives of Palestinians factions along with Father Manuel Musallam head of the Catholic community in Gaza, who delivered a speech calling on the world to give the Palestinian people their freedom. "We do not beg for our livelihood but we want our freedom," he asserted. "The Palestine football team is making history with its first ever international game at home. For years they have been denied a home ground and were forced to play overseas. FIFA President Sepp Blatter will inaugurate the new national stadium in Jerusalem before the team play Jordan in their first home game. Skys Middle East correspondent, Dominic Waghorn reports." "DAMASCUS, Syria — U.S. military helicopters launched an extremely rare attack Sunday on Syrian territory close to the border with Iraq, killing eight people in a strike the government in Damascus condemned as 'serious aggression.'" In a shocking turn, the Gaza Community Mental Health Programme found their International Conference, "Siege and Mental Health… Walls vs. Bridges" under siege. The conference was scheduled to be held on 27-28 October in the Gaza strip. However, following one year of planning and preparation, the academic conference has been disrupted by the Israeli Authorities decision to deny admittance to the international conference participants, only two weeks prior the conference. What better irony to highlight the effects of the siege? The conference has been organized to serve as a forum for professional discussion and scientific exchange concerning the impact of the Gaza siege on children, families, and communities and peace-making efforts. The plan is to gather top researchers and academics from around the world to build bridges for dialogue, mutual acknowledgment, and peace. Some 120 participants from universities around the world were scheduled to attend. 25 of them are presenting papers and original research. The main themes of the conference are addressing professional, mental health and human rights matters. If Israel imposes strict siege on the whole population of Gaza strip for "security reason", as claimed, we wonder, how could such a conference constitute a threat to the Israeli security. These actions represent a profound blow to the rights of academic freedom, free speech, education, and cultural dialogue"
We view this action as an action to block communication, distort the platform for mutual acknowledgment, understanding, and admitting the suffering of others. Once again, and unlike what is claimed, Israel - as an occupying power- is proving that it is controlling the Gaza Strip, preventing people from entry or exit. Despite all the challenges, we are determined that the conference will go ahead. We plan that the internationals will participate in Ramallah with a video link to Gaza for the local participants who are prevented by the Israelis from leaving. We affirm that, If Israel can impose siege on our bodies, they cannot besiege our minds and interaction with the outside world. Despite the unjust decision, we have the determination to continue with the conference as planned. We aim to be able to achieve goals of the conference as well as raising awareness about the catastrophic humanitarian consequences of siege on the civilian population of Gaza . We demand the Israeli authorities to change their decision and allow conference participants to enter Gaza. Finally, we urge our participants, friends, solidarity groups, human rights organizations, and mental health communities, to protest against this decision, denounce it, and expose the ongoing Israeli policies and violations of human rights. Gaza Children kindled the torch of "Breaking Siege" on the 23rd of October 2008. They were pushed by deprivation, death and poverty. They have used all ways to break the siege but in vain. Therefore, they send a message for the people around the world just to make an action in their places. All the need a voice says "No for Siege"
Many actions are in the way to support Gaza so be with us. If you are a person who can help then contact us on below info. If you can't help us pass this email to whom it may concern! Will you support them and save Gaza? If not Gaza's facts will go deeper than the info below! In Gaza, Palestinian people are subjected to medieval siege and forgotten by the international community. The borders are still closed and only a flow of supplies enter in Gaza, determined by the Zionist occupier, Israel. -Around 80% of Gaza populations live under poverty line. - 1.100.000 peoples depend on humanitarian aids provided by UNRWA, Arab, Islamic and foreign organizations. - 60% of Gaza's children suffer from Malnutrition. -About 97% of factories and workshops stopped working, specifically 3900 factories. The industrial zone of Gaza is completely closed. - Individual income 650$ per year and 2 $ a day..
-Freedom of movement from Gaza to the West bank, Jerusalem and outside world is being blocked. - Around 260 people died due to blocking them from either travel for treatment or lack of medicines. - Nearing to 40% of siege victims are from children. - About 150 of medicines sorts are not available in Gaza. - The only medical factory is halted due to shortage of raw materials. - Projects of constructing and developing hospitals, clinics and educational bodies are being suspended! Reach out to your media! Reach out to your political representatives! "Interviews with Michael Shaik and Bren Carlill about the success of the mission." On October 28, 2008, the Free Gaza Movement will set sail again for Gaza. On board will be a Nobel Peace Prize winner, five physicians, a member of the Israeli Knesset, and a member of the Palestinian Legislative Council. The boat will again carry 26 passengers and crew to the port of Gaza. "We've spent the past month making sure that our boat is better and stronger, because the weather is getting more severe. Since we promised the people of Gaza we would return, we wanted to make sure we would return safely", said Derek Graham, first mate on board the boat. Mairead Maguire, the 1976 Nobel Peace Prize winner for her work for peace in Northern Ireland and one of the passengers on board stated, "We sail to Gaza to show the people we love and care for them. What less can we do whilst our governments remain silent and inactive in face of such preventable suffering of the women and children of Gaza and Palestine." Also on board is Mustafa Barghouti, a member of the Palestinian Legislative Council, and Jamal Zahalka, a member of the Israeli Knesset (parliament). Both Palestinians are determined to forge alliances with their countrymen in Gaza, something they have not been able to do, because Israel has closed all land borders to this besieged people. On this occasion the siege-breakers will deliver 6 cubic meters of medicine, as a gift from the European Campaign to End the on Siege on Gaza. Dr Arafat Shoukri, head of the Campaign stated, "This is just the first consignment of medical supplies we hope to deliver. Our choice of medicines has been in response to a specific request from the health authorities in Gaza. Many basic items such as cough syrup for children are non-existent in the territory and we are happy to make them available. Our Campaign will also dispatch a number of medical specialists to the Gaza to assist in the worsening humanitarian crisis brought on by the siege." Greta Berlin, one of the organizers reiterated the goals of the Free Gaza Movement, "We intend to break Israel's blockade as often as we can. This second trip is just one of many we intend to organize over the next year. We have lawyers, members of Parliament and other professionals already on our passenger lists for upcoming voyages." In response to these IOF killings of children, and IOF consistent use of excessive lethal force against Palestinian children, the Palestinian Centre for Human Rights (PCHR) is launching ‘Blood on Their Hands’ - a major investigative report on child killings perpetrated by the IOF in the Gaza Strip. As the Gaza Strip enters its fifth month of "calm" with the Israelis, 80 percent of the population lives below the line of poverty. Palestinian Legislative Council member and Chairman of the Popular Committee Against the Siege (PCAS), Jamal N. El Khoudary says, "Now more than ever international institutions must take responsibility to hold the Israeli government accountable for its crimes against the Palestinian population." The Committee's Statistics Department has issued a report on the effects of the 16-month Israeli siege on the Gaza Strip. As of October, the strangling siege over the Gaza Strip reached its sixteenth month and the siege's drastic results on all economic sectors of life in the Gaza Strip make it a catastrophic zone of the first degree, as 1.5 million citizens are living under the effect of the siege. The movement of people and goods from and to the strip is paralyzed, and all commercial transactions have been stopped in a manner that contradicts all agreements, intents, commitments and accords the occupation took upon itself with international organizations to facilitate the movement of goods and people within and outside Palestinian territories. They made three agreements on the matter, the last of which was reached in November 2005, relative to movement and transit. Yet, the occupation proceeded with its antagonistic and criminal policy that resulted in shredding the lives of Palestinian Arabs in the West Bank and the Strip. The Strip, which depends entirely on its imports from and through Israel has been greatly affected. Since it started its siege, Occupation forces didn't allow any raw materials to be brought into the Gaza Strip, as well as forbidding Gaza from exporting its products, the outcome of which is an increase in the percentage of its inhabitants living under the poverty line to 80% as per some estimates, while according to the International Bank, estimates increased from 35% by the end of 2006 to 67% by the end of October 2007. The percentage of unemployment reached 65%, therefore, further decreasing the purchasing power to meet basic human needs, not taking into account the sharp decrease of income down to US$ 650 per annum and 2$ a day. Direct monthly losses as a result of the siege are estimated at 45 million US$, which are spread as follows: The industrial sector 15 million US$ namely, 33% of the total, agriculture 10 million US$, 22% of the total, trade, services and fishing 20 million US$, 45% of the total. Private sector productivity in the Palestinian territories in general and the Gaza Strip in particular had a sharp 76% decline from what it was at before the Al-Aqsa Intifada. Down to 31.1 during the first quarter of 2001, although it recovered some of its vitality to reach an average of 46% during the period extending between January 2006 and July 2006. But upon imposing the full siege on the Strip on mid July 2007, productivity decreased directly to 11%. The cause is due to Occupation authorities having stopped the application of the Customs Code for the Strip, which resulted in banning the importation of all raw materials especially. Since local raw material in all of Gaza's industrial facilities does not exceed 10%, noting that even this percentage is obtained with great difficulty, thus costs have increased more than the total cost of production. In addition to the difficulty in marketing locally produced products because of the siege, the ban on exportation has dealt a fatal blow to this sector of the economy. Studies show that more than 43% of the private sector establishments had to decrease their commercial activities to a level exceeding 75%, while noting that 55% of these establishments had to shut down their operations. The industrial sector depends completely on imported raw materials. It depends up to 80% on imported machines and spare parts, and during the peak season of production (May – June) it is possible to export 748 truckloads of industrial products per month (including furniture, food products, clothing and agricultural products). Since the beginning of the siege, the Occupation cancelled the application of its Customs Code for the Strip, resulting in the stopping of all industrial activities, which depends up to 85% on imported raw materials that are imported from Israel or in transit through it, and statistics indicate that more than 97% of industrial establishments, a total of 3,900, were shut down, stopping the export of their product; as a consequence 33,000 out of 35,000 employees and workers in this sector joined the ranks of the unemployed up to the date of the imposition of the siege in mid June 2007, and after the siege the number of employed industrial workers does not exceed 1,500. Estimates issued by the Union of Palestinian Industries said that direct monthly losses since the beginning of the siege on the Strip is 15,000,000 US$, as the net daily income of the industrial sector in Gaza last year was 500,000 US$, which means that a total 97.5 of furniture workshops closed their doors up till the end of 2007, while statements issued by economic sectors shows a total loss of 120,000,000 US$. The affected sectors' statements indicate that no furniture exports, such as 95% of the wood industries, stopped production. Only 30 out of the 600 establishments in this sector are still working, a net loss of 55,000,000 US$ (8 million in July, 10 in August, 12 in October, 13 in November, and 12 in December) in addition to 6,500 workers who lost their jobs, 245 monthly truck loads of exports were stopped. The Gaza Strip has 70,000 donums (9364 Hectares) of agricultural land, with a production capacity between 280,000 to 300,000 tons of agricultural products per annum, one third of which is usually exported. The agricultural sector counts 40,000 permanent jobs for citizens in Gaza (namely 12.7% of the working force), it is also the source for food and life for one quarter of the population in the Gaza Strip. Since the beginning of the total siege, the Occupation banned the exports of its products including agricultural products out of the Strip, and furthermore, it prohibited the import of seeds and seedlings, fertilizers and other agricultural requirements, which caused big losses exceeding the original estimates since mid July up to end of 2007. These losses amounted to 67 million US$, and according to the Ministry of Agriculture statements, the average daily losses due the ban of agricultural products is 150,000 US$. Thus, a total loss during the last six months that amounts to 28,000,000 US$. About 25,000 tons of potatoes were destroyed and more than 10,000 tons of other products were destroyed or sold locally at much lower prices then those of export prices (local prices were 10 to 15% of the export prices). While other farmers suffered direct losses as a result of production being sold locally compared to export prices, as a result of dumping the products produced for export purposes in the local market, it is expected that the total produce in the last season shall drop by 20 to 30% less than in the previous season. Thus, losses are estimated at 10 million US$ monthly. It is important to mention that the siege destroyed agricultural products for the period between 15 November 2007 and May 2008. The number of workers in this season is 7,500 farmers, whose estimated production is 14 million US$ which was supposed to be produced fully for export, as an area of 3130 donums (418 Hectares) is planted with strawberries, tomatoes and carnations. On the other hand, and as a result of the difficulties in the fishing industry, estimates are that 3,000 fishermen are expected to lose their jobs with an estimated monthly loss of 3,000,000 US$. The health sector has been exposed since Zionist Occupation imposed its siege on the Gaza Slip to a major blow, which affected its ability to provide the basic required health services to its citizens. During the most recent period, a great shortage of a large number of basic pharmaceutical needs, that is 160 types of medicines until the date of the preparation of this report, and another 130 kinds are expected to go out of stock within the upcoming days. This is in addition to the disability of 90 medical instruments to perform because of the lack of spare parts needed for their maintenance, among these machines are 31 kidney dialysis machines. Summed to all of this is the inability of citizens to travel abroad for medical treatment. Statements issued by the World Health Organization (WHO) stated that hundreds of patients with acute medical illnesses, and those which require highly specialized surgeries especially in the brain, nerves and bones, as well as the treatment requirements for cancer patients, and those with kidney and heart diseases, could not travel abroad for treatment. The Occupation refused to allow 1150 patients to leave the Strip for treatment since the beginning of the siege, out of which there were 270 serious cases. Popular Committee Against the Siege started its activities towards the end of October, it has registered 252 cases of deaths due to the siege. Since Israel's announcement of the stoppage of the application of its Customs Code for the Gaza Strip, and banning the import of raw materials including iron and cement, the sector has suffered almost complete paralysis, (the stopping of 13 tile factories, 30 cement factories, 145 marble factories and 250 brick factories), thus 3,500 people lost their jobs. Besides this, all development projects have been stopped, the value of which is estimated at 350 million US$, as the United Nations development stopped all its construction contracts for the infrastructure in the Strip, such as rehabilitation of street, water and sewage facilities, with an estimated cost of 60 million US$, and the UNRWA stopped its program for creating job opportunities at an estimated cost of 90 million US$ from which more than 16,000 people were supposed to benefit. Since the start of its siege on the Gaza Strip, Israel has permitted the passing of food products on an intermittent basis, but upon considering the Strip an enemy region, the Occupiers limited the number of basic food products. They are allowed to be up to and not exceeding 20 items, certain food products that turned out to be in great shortage, and there is complete absence of a great number of others, thus resulting in an acute rise in prices in addition to other factors, that affected the every aspect of the lives of Gazans. As per the report of the central bureau of statistics, the increase in prices reached 5.79% in August, 3.15% in September, 1.03% October and 1.13% in November; meaning an increase since the beginning of the siege of 8%, compared to an increase in the West Bank of 0.10%. Estimates for daily consumption of the following food products in the Gaza Strip are: 867 tons of flour, 153 tons of sugar, 110 tons of rice, 75 tons of different kinds of oil and 49 tons herbs and vegetables. According to crossing administration only 15 % of Gaza needs get in. The Gaza Strip is connected with the outside world through six entry points, five of which are connected with the Occupation. They are: Karm Abu Salem, Sowfa, Al-Mintar and Beit Hanoun (Eretz) crossings. As for the Rafah crossing, it is connected with The Arab Republic of Egypt. Israel controls its side of the five crossings, in which complete paralysis is practiced. Israel doesn't permit the transport of people from and toward the Strip except for extremely rare cases. It is allowed only through the Eretz crossing and only for employees of foreign establishments as well as in some acute health cases. Yet, most of these cases' applications for crossing are refused. As for people's food product requirements and other supplies, estimates point out that the Strip requires imports from the outside world and from the West Bank. About 300 truckloads per day of raw material and other goods comprise the daily requirements. Israel doesn't allow the transit except for basic human needs and basic food products. This has resulted in the lack of any stockpile of basic products, in addition to the absence of a large number of basic food products in the Palestinian market. Only 1,806 truckloads were permitted in October and 1812 in November, that is, an average of 60 per day, far below the basic survival requirements. 1. Reduction in the supply of fuel needed to operate the power plant resulted in the phenomenon of power cuts and blackouts. 2. Reduction in the supply of fuel to run generators as substitute for electricity. 3. The closure of the crossings and preventing materials, equipment and spare parts into Gaza affecyted general health system and water quality for people. Lack of fuel or spare parts for vehicles hinder the work of this sector. 50% of cars and various municipal vehicles of Gaza City out of work, while the remaining percentage is threatened with collapse over the next few days because of due to suffocating closures, in addition to that the efficiency of those trucks and mechanisms are not more than 40%. 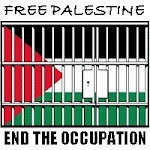 -PCAS is non-violent and independent peace initiative working on ending occupation and siege in Palestine - www.freegaza.ps/english. 14 of October is the Arab environmental day, where on the same day in 1986 Arabian ministers and officials met in Tunis and announced October 14th Arab Environmental Day. This decision was taken to allow each citizen to feel that they belong to their local and Arabian unity environment because any environmental problem that will arise in one Arabic country will negatively impact the neighboring country. This day comes while the Palestinian environment is still suffering from the violations of Israel occupation. Since Hamas took over Gaza Strip, Israeli government imposed a deadly siege on Gaza closing all borders and restricting entry of basic goods for every day life and impacted in providing the necessary services to people especially in the health sector. In addition to that, the Israeli Authorities prevented the completion of some projects which aims at developing the work of environmental associations that work in sectors of water, sanitation and solid waste. As a result there are no solutions for the environment problems, for examples the crisis of "Um Alnaser" village northeast of the Gaza Strip, and Al-Amal wastewater pool in Khanyounis south of the Gaza Strip. Also, no maintenance has been carried out in the three wastewater treatment stations where Gaza and Rafah stations have not had any rehabilitation or development since 1983. Moreover, that there is the problem of solid waste in the Gaza Strip, where there the shortage of fuel for the trucks which transfer the solid waste into landfills. For example, in Rafah city the garbage is gathered in a small yard in Tal Al-Soultan area and later transferred to Sofa landfill north of Rafah according to fuel availability. The statues of the three landfills in the Gaza Strip are currently full and need to be expanded. Also, the shortage of fuel since April has negatively impacted the working hours of water wells and sewage pumping stations. In some cases, water wells and sewage pumping stations have stopped operations completely. Another problem which has risen from the imposed siege is the pumping of around 60,000 cubic meter of un-treatment sewage into Gaza Sea, which affects on the sea life and pollutes the seawater. Also, the huge mountains of garbage near residential areas affect on human health and consequently pollute the surround atmosphere. These measures and Israeli siege is considered as a collective punishment not only against people but also against the environment, where according to the professionals the pollution is increasing from the burning the solid waste soil due to the inability of transferring it. On the occasion of Arab Environmental Day, Gazens need support and assistance from the Arabs to stop the Israeli violation and to protect Human rights especially the right of living in clean environment. In this day, Al-Dameer Assoc mentioned that the international community must adhere its responsible and perform its duties towards the Palestinians who suffered from the Israeli occupation and its violation. "Israeli bulldozers razed their farmlands and groves. Beekeepers in Gaza keep their hives next to the border with Israel. The bees fly freely across the border with Occupied Palestine known now as Israel to collect nectar, returning with honey to the besieged Gaza strip." "Children 2-4 year old have a day at Ush Ghrab, Eastern Beit Sahur. This was on Saturday October 18, 2008 two days after colonial Israeli settlers tried to take over the site supported by large contingent of colonial soldiers." On the morning of Saturday 18 October 2008, a group of four Israeli settlers beat up a Palestinian reporter, Abed Hashlamoun, in the Tel Rumeida area of Hebron. He required hospital treatment for his injuries. Hashlamoun had been photographing Palestinians, Israelis, and internationals harvesting olives together in an event organized by Tel Rumeida landowners. Hashlamoun was walking alone through the olive groves when male settlers knocked him to the ground and began beating and kicking him. Several of the olive pickers heard his cries and ran to help him. One of the settlers seized Hashlamoun’s camera. CPTer Janet Benvie approached the settler and asked him to return the camera, but he did not respond. When Benvie took hold of the camera strap the young man punched her in the face, knocking her to the ground. He then hurled the camera into the rocky field below. The settlers were still nearby when Israeli soldiers arrived. “I repeatedly asked the soldiers to detain the men who attacked us, but instead they permitted the attackers to leave the scene,” said Benvie. The Israeli military declared the area a closed military zone, ordered an end to the olive picking, and required the Israeli and international olive pickers to leave the area. Hashlamoun was taken to hospital for treatment, but released shortly after. Benvie sustained a cut and bruising to her face, but did not require medical treatment. Scores of Israelis organized on Sunday a sit-in on the Israeli side of Gaza-Israel southern border lines, demanding their government to ensure the release of Israeli soldier, Gilad Shalit, captured in Gaza for more than two years now. Demonstrators held their protest at the Kerem Shalom commercial crossing in southern Gaza, blocking shipment of goods and commodities to the Gaza Strip, amidst an Egyptian-brokered ceasefire deal, media sources reported. Over the past several months, both the ruling Hamas in Gaza and Israel have been negotiating a prisoner swap deal through Egyptian mediators, for the release of Shalit and freedom of hundreds of Palestinian prisoners inside Israeli jails. So far, negotiations have achieved no progress as Hamas insists that Israel must release a list of prisoners with long-term sentences, as well as almost 350 women and a number of juveniles. Israel has long rejected Hamas's list and has recently prepared a list of its own, yet no breakthrough in Egyptian mediation efforts is yet to be observed. In June2006, Hamas fighters managed to capture soldier Shalit, during a cross-border attack near the Kerem Shalom crossing in southern Gaza. Israel then responded with lethal force, killing more than 450 Palestinian men, women and children, in addition to destroying water, electricity networks and bridges. "Stanley Heller reports on the attacks and rioting in Acre, Israel. Video from Nablus on the search of an American going from Poland to Israel, video from Bethlehem/Jerusalem of a walk through the checkpoint, New Britain, CT anti-war demo on Oct. 9. Finally some of the rally against the idea of a CT Constitutional Convention." Three human rights observers (HROs) accompanied a fleet of four Palestinian fishing boats, as they left the port in Gaza this morning at 07:00. By 08:15 the fishing boats were proceeding in a southerly direction, 8 nautical miles from the Gazan coast. At this point, an Israeli naval gunboat approached the fishing boats, and began to circle them. A loud explosion was heard, the cause of which is unknown. A HRO close to the gunboat at this time reports that the sound of the explosion was consistent with her previous experience of the Israeli Navy throwing explosive charges into the water next to fishing boats. The gunboat continued circling the fishing fleet for several minutes, as a soldier fired several bursts from a deck mounted heavy machine in their general direction. At around 09:30, the large Israeli vessel with a high powered water cannon approached. Over the next two and a half hours it fired the water cannon at each of the fishing boats in turn, for long periods. As a result, the fishing boats were incapable of maneuvering properly, and the nets of two of the boats became entangled. One of the fishermen had to dive into the water to attempt to separate them, once the water cannon boat had ceased its assault. One of the HROs whose body was hit directly by the water cannon reports in a text message (at the time of writing, he remains at sea) that he is "OK but body aching like being beaten". "…it may cause damage to a boat…"
"…minimizes injuries to Palestinian fishermen." Sharon's government is coming under increasing pressure to revive the stalled peace process. Even its soldiers have started criticising the occupation. 'We want Israeli society to wake up and know what's happening there,' states former commander Yehuda Shaul. Like most young Israelis, Yehuda served in the army. But his experiences there left him angry and traumatised. Now, he's organised an exhibit of photographs and videos taken by soldiers in the Occupied territories. The aim is to force Israelis to recognise what's actually happening there and how it's damaging many soldiers. 'This exhibition is about Israeli soldiers and how they come home after serving in Hebron,' explains exhibition contributor Yonathon Boumfeld. 'It's like they have a scratch in the brain.' The most contentious part of the exhibit is a series of video testimonies from soldiers that include description of war crimes they committed. The soldiers face possible prison sentences for going public with their stories. But they refuse to be put off. More and more conscripts are coming forward with testimonies illustrating how they've been traumatised by their experiences. As exhibition organiser Avihai Sharon explains 'We're not trying to ruin the army. We're trying to build the army back to what it's supposed to be.'" 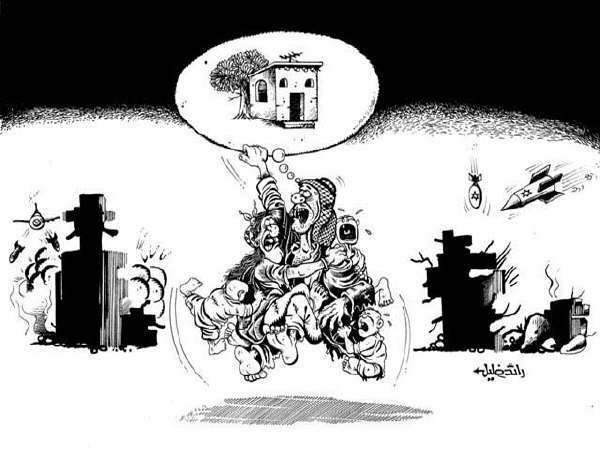 On 4 Sept. '08, Naheel Abu Ridah, seven months pregnant, was rushed to hospital in severe pain. When she reached Huwara checkpoint with three relatives, soldiers refused to let them cross by car despite the family's pleas. I married Muaiad Abu-Rideh two years ago, and had a baby girl, Shadah, a year ago. She was born in my seventh month of pregnancy but is fine now. Seven months ago, I became pregnant again. Last Thursday [4 September], I had sharp stomach pains and I started to bleed badly. Around 7:00 P.M. I went to Dr. Fathi ‘Odeh in Jawarish, because our village doesn’t have any specialist physicians. He gave me medication and told me I’d be all right, but I didn't feel any improvement and the pains even got worse. Around midnight, I couldn’t bear the pain any more. I woke my husband and asked him to take me to the hospital. When he saw how much I was suffering, he called to get his brother ‘Udai, who lives in the center of the village, to drive us in his car. ‘Udai arrived, with my mother-in-law, in a couple of minutes. My husband picked me up and carried me to the car. I was in so much pain, I couldn’t walk. We started on our way to the hospital in Nablus at about 12:50 A.M. At the Za’tara checkpoint, we told the soldiers I was pregnant and had to get to the hospital, and they let us cross without a problem. When we got to the Huwara checkpoint, the soldiers didn’t let us pass. They said we didn't have a permit to cross by car. We told them my brother has a permit to cross the Ma’ale Efraim checkpoint because he works at settlements in the Jordan Valley, but that didn’t help. The pain got worse. I felt as if I was going to give birth any moment. Now and then, the soldiers came over to the car and looked at me lying in the back seat. I was really worried about the fetus, and couldn’t stop thinking that I’d have to give birth in the car while the soldiers watched. I kept screaming and crying and calling for help. I don’t know how much time passed, but suddenly I felt the fetus coming out. I shouted to my mother-in-law and to ‘UdaI, who were outside the car: “I think he’s coming out!” I took off my clothes. I was afraid they’d see me naked and that something would happen to the fetus. My mother-in-law shouted: “Yes, here’s his head, he’s coming out.” I asked her to pull him, and she said, “Breathe! Push!” I felt as the baby move, as if he was calling for help and asking us to help him come out. My mother-in-law covered me with my clothes. I shouted to my husband, ”The baby is out!” He shouted to the soldiers something in Hebrew that I didn't understand. I don’t remember exactly what happened then, but when the medics arrived, they picked me up with the car seat and put me in the ambulance. I didn’t feel the baby moving any more and realized he was dead. The medics took away the dead baby and took me to the hospital. My husband and mother-in-law came with me in the ambulance. At the hospital, the doctors operated on me to clean my uterus. They discharged me the next day. It hurts me a lot when I remember how the baby moved inside me and what happened to him. What did he do wrong? I also gave birth to my daughter in my seventh month, and now she is healthy. This poor baby died because there wasn’t anybody to help me deliver him. Naheel 'Awni 'Abd a-Rahim Abu Rideh, 21, married with one child, is a homemaker and a resident of Qusra in Nablus District. Her testimony was given to Salma a-Deba'i on 8 September 2008 at the witness's home. The army's severe restrictions on Palestinian movement in the West Bank gravely affect the ability of Palestinians to obtain proper medical treatment. The hundreds of physical obstructions and dozens of checkpoints result in very limited access to medical treatment, and sometimes none at all. The problem is especially grave among residents of villages and outlying areas who need to get to hospitals in the large cities. For example, persons living in villages around Jerusalem who need to get to hospitals in East Jerusalem for treatment require a permit to enable them to reach their destination. To obtain a permit, patients have to provide medical documents testifying to their illness, as well as confirmation that they have an appointment at the specific hospital and that it is the only facility where the needed treatment is available. The need for a permit is especially problematic for pregnant women, who need to get to the hospital in time to give birth. Even though the delivery date is uncertain, the permit given to women about to deliver is valid for only one or two days, as is the case for most sick persons. Therefore, women in their ninth month of pregnancy must go to the DCO every few days to renew the permit. As a result, in some instances, the mother gave birth at the checkpoint after her crossing was delayed because she did not have a valid permit. In 2007, at least five women gave birth at a checkpoint, three of them at a checkpoint at the entrance to Jerusalem. The hardships entailed in obtaining medical treatment involve more than the bureaucracy of the permit regime. In many cases, the way to the hospital is blocked, so the sick and injured have to travel on long, winding, and worn roads. These alternate roads often lead to a staffed checkpoint, where they are forced to wait and undergo checks. In other cases, access to medical treatment is prevented and ill and wounded persons are unable to receive emergency medical treatment when checkpoints are closed at night, and whole Palestinian communities are blocked from entering or leaving by vehicle, including by ambulance. This situation exists primarily in enclaves in the “seam zone” and in a number of isolated areas, among them Beit Furik and Beit Dajan, in the Nablus area. In 2007, there was an increase in the number of persons needing medical treatment who were delayed at checkpoints, and B'Tselem documented five cases in which ill or wounded persons died after being delayed at a checkpoint. Following a petition that Physicians for Human Rights filed in 1996, the State Attorney's Office announced two procedures instituted by the army regarding the crossing of checkpoints on grounds of medical need. The two procedures were intended to regulate the crossing of Palestinians in case of medical emergency, when a permit would not be needed, and in non-emergency cases. These procedures were supposed to apply at all the checkpoints in the West Bank, but recent testimonies given to B'Tselem indicate that this is not always the case. Frequently, the soldiers, who have no medical training that would enable them to evaluate the medical condition of the person, err in judgment. The many restrictions on movement have also impaired the ability of West Bank hospitals to function properly. Indeed, the level of service in these hospitals has suffered greatly because of the absence or delay in arrival of doctors and staff as a result of checkpoint delays. Finally, the restrictions on movement also impair the development and expertise of medical professionals in the Palestinian health system: it is almost impossible for physicians and staff to get to in-service training or students to university, and many students are either unable to complete their studies or receive a lower quality of professional training. International law grants special protection to the sick, wounded, the infirm, and pregnant women, and states that medical teams and sick and wounded persons must be allowed open passage. The many restrictions on Palestinian movement in the West Bank and the extensive period in which these restrictions have been imposed have resulted in a systematic, protracted breach of the law and in grave harm to the health of West Bank Palestinians and to the Palestinian health system.